White English Bulldog Lying On Vintage Sofa. Studio Shot Against.. Stock Photo, Picture And Royalty Free Image. Image 28299514. 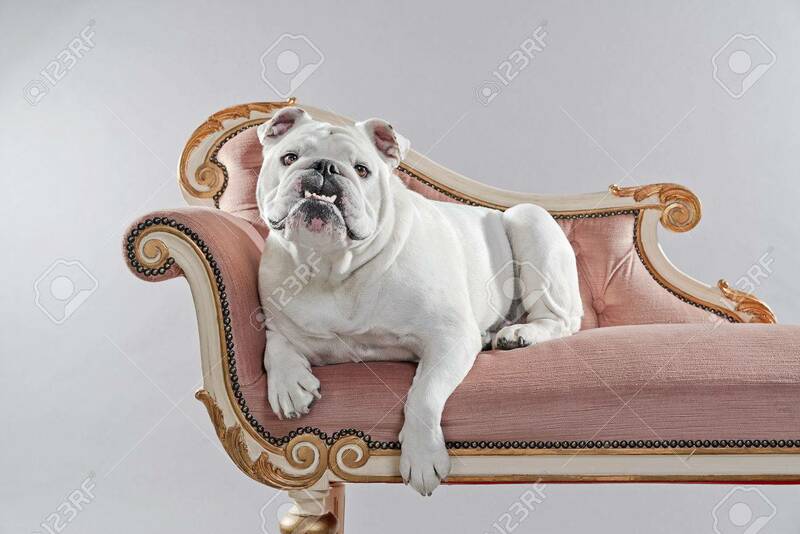 Stock Photo - White english bulldog lying on vintage sofa. Studio shot against grey. White english bulldog lying on vintage sofa. Studio shot against grey.